There’s a good reason why Carol Danvers looks different in Endgame than Captain Marvel. What’s up with the make-up? That’s what fans wanted to know after the second trailer for Avengers: Endgame, which finally added Captain Marvel into the manic mix of superheroes. 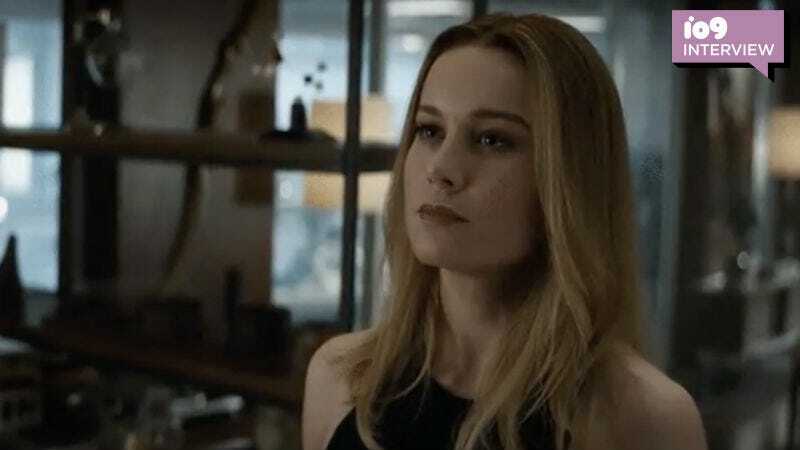 Many noticed that in her solo outing, which was directed by a man and a woman, Carol Danvers didn’t wear much make-up, but in Endgame, which is directed by two men, she was glammed up. Questions arose regarding the perspectives of the different directors. At the junket for Avengers: Endgame, one of those directors, Joe Russo, gave io9 his explanation. Russo said he and his brother Anthony offer suggestions to actors but the actors largely settle on individual character looks themselves. For example, the Russos may suggest to Chris Evans that he grow a beard but Evans decides how big that beard is. Or they suggest to Scarlett Johansson that Black Widow have a new haircut because time has passed, and Johansson decides on the style of the haircut. “We empower them to have control over their characters because they need to be comfortable playing those characters,” Russo said. And the same can be said for Carol Danvers’ look in Endgame. Carol Danvers in Captain Marvel. At the Endgame press conference, Larson confirmed the Avengers sequel did, in fact, film before Captain Marvel. She hadn’t even seen a full script for either, and therefore maybe didn’t quite have a full grasp on Carol Danvers just yet. Thankfully, McFeely explained that Captain Marvel directors Anna Boden and Ryan Fleck were on set when filming with Larson’s Captain Marvel started. 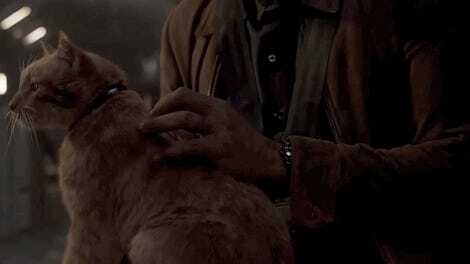 “They watched their character start with someone else and we certainly got their blessing,” he said. Avengers: Endgame, the first Captain Marvel performance but second appearance, opens April 26.